Ruffles and Roses made this very stylish cupcake skirt tutorial. Very ruchey but without the price. And Sweetie Pie Bakery made this sweet white weeping willow frock for her little birthday girl Aeris. I imagine she was the belle of the ball. I LOVE what The Sew Convert did with this floral top. It's so unique. I haven't seen anything like it before. She said she got the inspiration from a Japanese sewing book. I REALLY have to check those out. 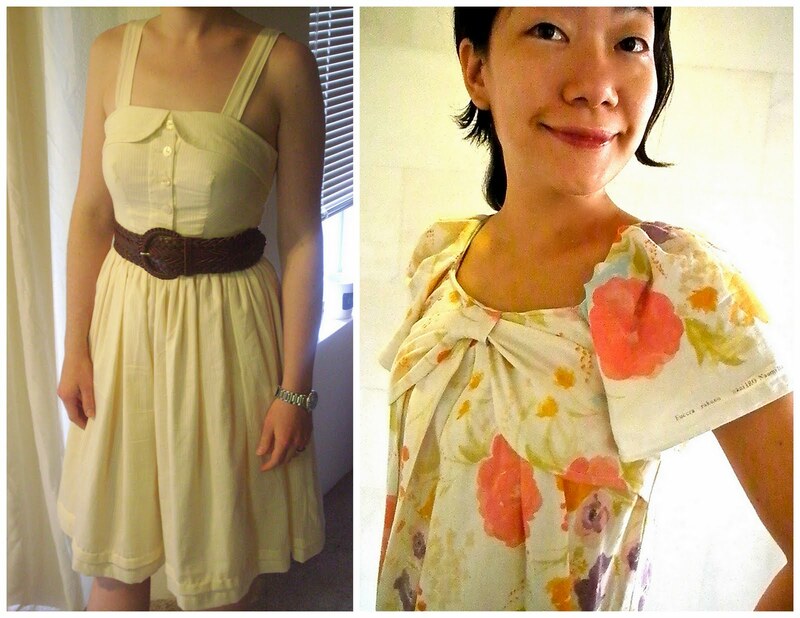 And Adventures in Dressmaking made this summery semi-sheet Antroey dress from a vintage vogue pattern! That girl. She's always got something amazing up her sleeve. Finally Caska and her mother made this really adorable dress for a party. Her mother crocheted the top and Caska paired it with this cute children's fabric. So summery. 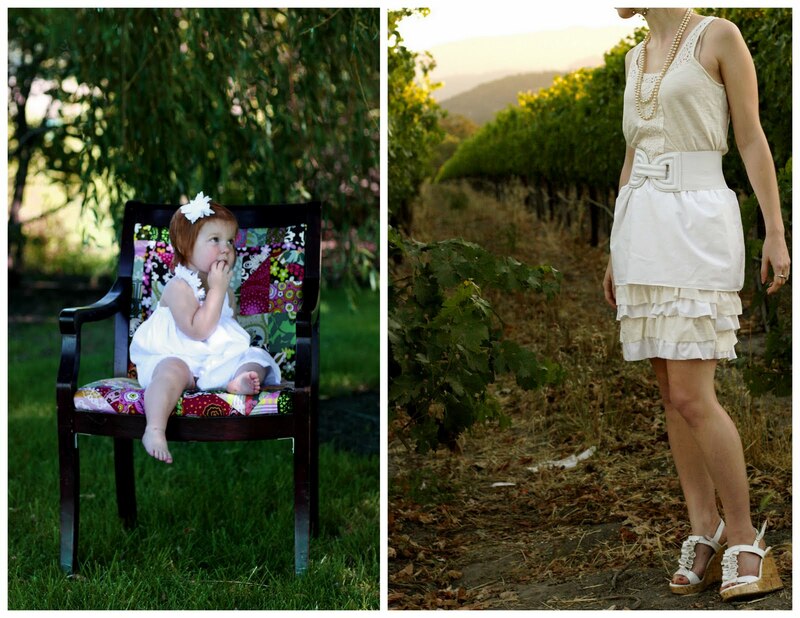 Have you seen the Pinwheel skirt tutorlal at Ruffles and Roses? It is to die for! !